Johnny Bobbitt was homeless when he helped a stranded motorist. A GoFundMe campaign for him netted over $400,000, but Bobbitt still struggles. There's a yearning between the lines of my colleague Barbara Boyer's story today about Johnny Bobbitt. It's similar to the wistfulness you find in those profiles of lottery winners who claim their lives have been ruined by their financial windfalls. They miss the simple ease of their pre-fortune days – when family and friends weren't hitting them up for loans, strangers' motives weren't suspect, and little splurges could make a day feel special. I've always eye-rolled while reading those tales, thinking, "Now, there's a problem I'd like to have." But then I read Boyer's update about Bobbitt. And I got it. Bobbitt, if you need reminding, is the homeless veteran who in November used his last $20 to buy gasoline for a stranded driver named Kate McClure, whose tank ran dry on a lonely exit off I-95. McClure and her boyfriend, Mark D'Amico, were so grateful to Bobbitt that they launched a GoFundMe campaign to get him off the streets. Their goal was a modest ten grand. But as the campaign went viral, $403,000 gushed in from 14,000 GoFundMe donors moved by the generosity of a downtrodden man who literally gave his last cent to a person in need. I wonder what some of those contributors will think when they read in Boyer's story that Bobbitt – whose addiction to heroin and opioids led to his homelessness in the first place – has used some of the campaign money to buy drugs. Now in his second stint of rehab, he is three weeks sober. I hope donors will be forgiving. Because it would be cruel to expect perfection from a broken man just because he happened to be caught in a perfect act of kindness. I also hope, for now, that donors will hold in check suspicions about McClure and D'Amico, who were vague on details when Boyer inquired about the disbursement of Bobbitt's funds. They give him an allowance, they told Boyer, and the camper and truck Bobbitt bought with his winnings are registered in McClure's name. By his own admission, the Marine veteran's addiction cost him the faith of everyone who once cared for him. Yet McClure and D'Amico saw in Bobbitt what all burned-out, heartsick families of addicts see until they just can't anymore – the person inside the illness. McClure and D'Amico have hung in there with Bobbitt. That's not nothing, regardless of the financial arrangement in play. Still, it's not the feel-good ending that donors to feel-good campaigns expect when they open their wallets. And they're opening their wallets like mad. GoFundMe alone, the largest U.S. crowdfunding operation, has raised $5 billion from 50 million donors since the company was founded in 2010. The campaigns allow fund recipients to change their fortunes, yes. But they also allow donors to express their most virtuous qualities – goodwill, compassion, generosity – and to feel part of a story's happy outcome. That's not nothing, either. Sometimes, though, a sad outcome still has its grace. For example, this time last year I wrote about a homeless man named Jon who hung out at the 69th Street Transportation Center in Upper Darby. He was befriended there by Havertown resident Michelle McHugh, who found him to be gentle, interesting, and thoughtful during the chats they had as she waited for her train to work. Their relationship changed when she learned, before Christmas in 2016, that he'd be spending the holidays alone in a patch of woods. Moved by his sorry circumstances, she established a GoFundMe page – "Helping Havertown's Homeless" – and mobilized her community to find Jon a home and job. They raised thousands to pay a year's rent on a small house, which they also furnished for Jon, and McHugh set about securing county services to help him find medical care and employment. "I had almost given up on humanity," said Jon on the day he moved into his cozy new home. "Not every homeless person is a criminal or an addict. But people treat you like you're a second-class citizen. It gets you down." A year later, though, Jon appears to be approaching a precipice. He has yet to hold a steady job, despite offers and leads, and the paid lease is about to run out on his house. He is not returning McHugh's calls (nor mine) and by the end of next month he may well be homeless again. 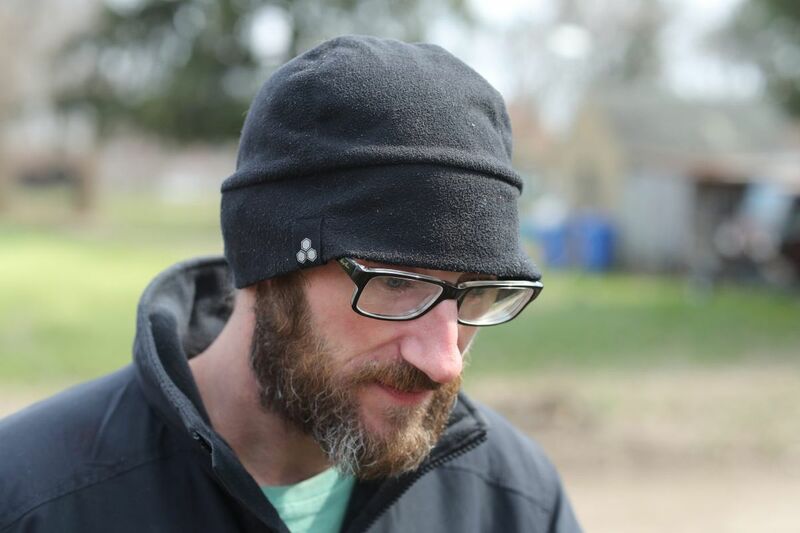 It's unclear whether the community that rescued Jon from the woods last year has the interest – or even the right – to keep him from returning there. There's only so much that a financial donation can buy. McHugh, though, never sought to buy anything but relief for one man's suffering when she launched that GoFundMe page. And for a year, Jon's suffering has, indeed, been relieved. Moreover, a network of people who didn't know one another before the campaign are now deeply connected, thanks to a shared desire to help. Can there be grace in this? McHugh thinks so. Her game plan when she took on her mission to help Jon was, "Let me take this one step at a time." Those steps have led her to a new understanding about care, community, and compassion. "I don't know what the future holds for Jon," she says, "but I know this movement opened my eyes to the troubles people face – which can take much more than we can imagine to overcome – and to the willingness of strangers to come together to help others." That's not nothing. It's everything.